Skyler Rose is a 18 month old female Cross-Breed. Skyler Rose is a delightful little girl, always happy to see you. Shes an active little girl with a long, tan, silky coat and white chest, she is a proper lap dog ! She stands at 30 cm and she weighs approx 8 kg. Skyler Rose has already been with 2 foster families as the first one could only keep her temporarily but they loved her. She fitted in well to both households. She is a lovely, happy dog who gets on well with cats. These are some of Skyler Roses attributes: Loving, comes when called, cuddly, playful, likes long walks, eager to please, stays with you, doesn’t wander. 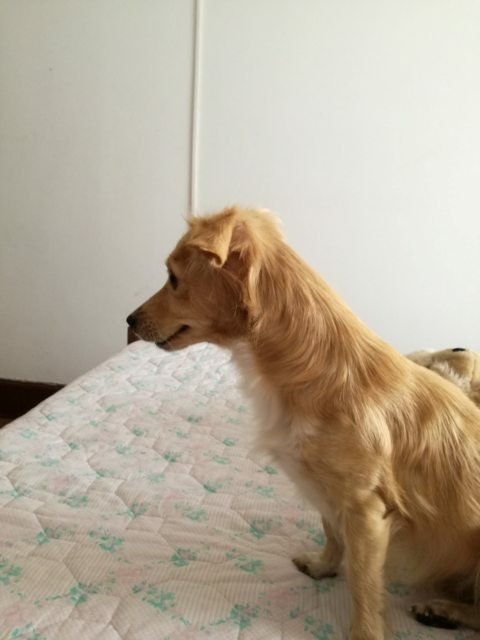 Skyler Rose was found on the street in a Portugease town, presumably abandoned, she was taken into foster care. She can bark at people and animals she doesn’t know. She can chase cats but she was also in Foster with several cats and was fine with them. General socialisation and obedience training is being continued. 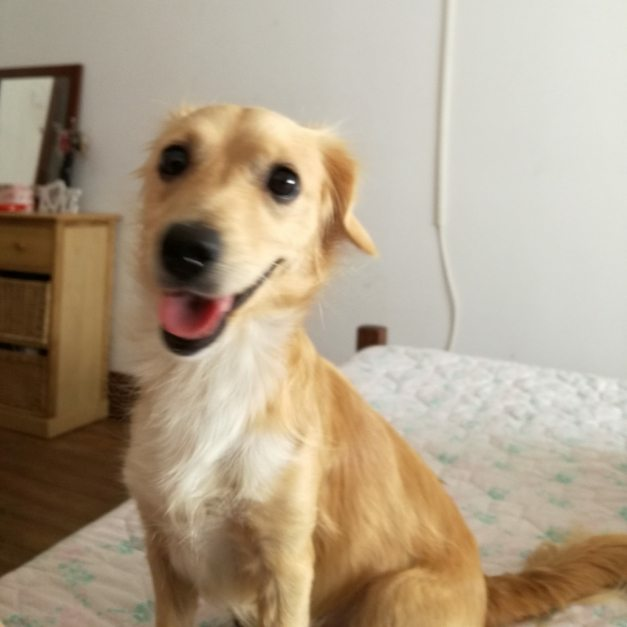 Fosterer’s report : She’s a lovely dog who always wants to cuddle and is very friendly to people once she gets to know them, She will almost always come when called. She is very affectionate and will get under the duvet with you if you let her, but she also jumps on furniture unless told otherwise. Once she gets to know another dog she is very friendly and affectionate to them too. She needs regular exercise. She lives with a rabbit indoors and is good with her as long as the rabbit doesn’t run, She is the same with cats. She is a lovely dog who is always happy to get lots of love and attention, and will make a very loving companion. 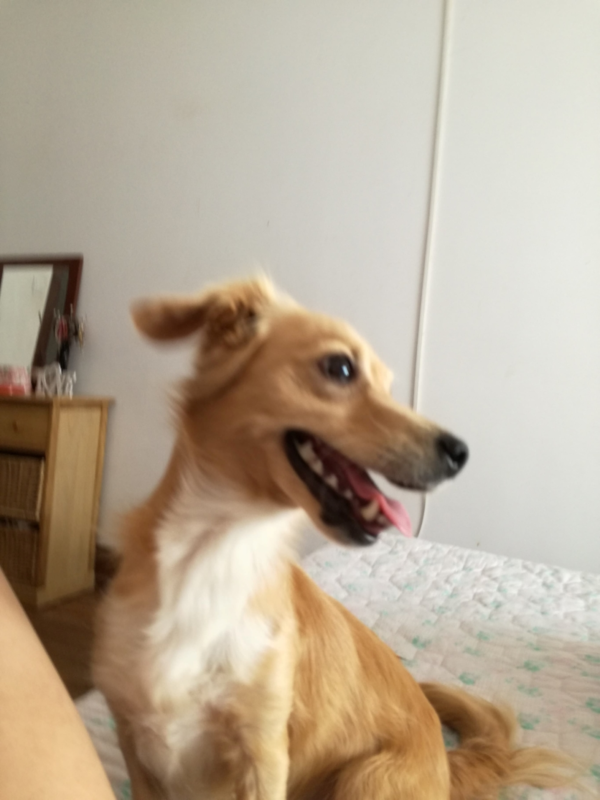 Current location is in a foster home in Portugal can travel to the UK once she has a home to go to. Vaccinated, wormed, flea treated, spayed, microchipped, Pet Passport, FREE 4 weeks Pet Insurance to be activated from the link on our website. Any known health issues NONE KNOWN. For Dogs coming from Portugal: This adoption fee is a contribution towards the costs of rescuing the dog- microchip, passport, vaccines, tests for S European diseases, neutering (if old enough), parasite treatment and transport to the UK. We can not home dogs from Portugal to people who work full time or long hours, unless some sort of doggy day care is offered. They need someone at home a lot of the day, they are not used to being alone for long periods. A dog walker for an hour out of the day is not enough.